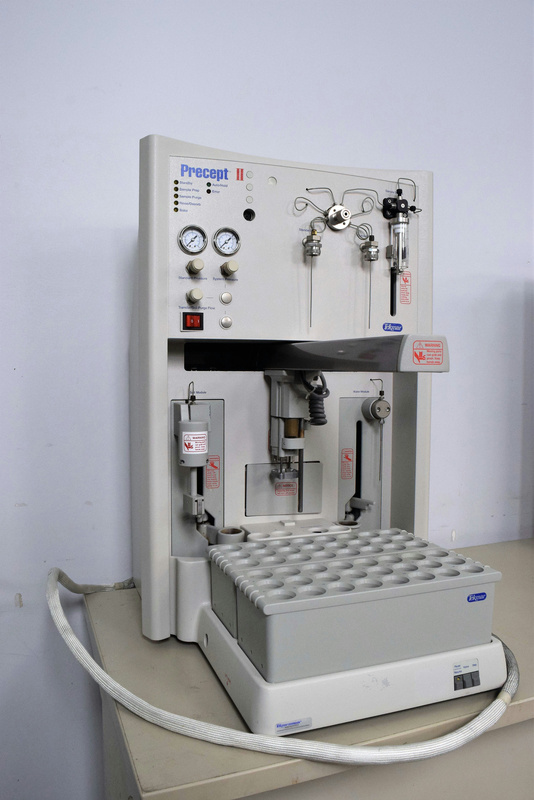 Tekmar Precept II 14-Pre-2-200 Purge and Trap Autosampler . New Life Scientific, Inc. In good cosmetic condition with minor wear; does not power on; believed to be a bad power supply. It has lots of good interior parts if you posses one that needs worked on. Our in-house technicians did a visual inspection of the equipment; when plugged in it does not power on. The technicians believe it is a bad power supply.